Most Nevada residents want to provide for their loved ones even after death. Determining who will receive what assets and when during estate planning might not be as simple as simply dividing them up evenly. Numerous factors need to be considered prior to making a final decision. In some cases, it might make more financial sense to provide for some beneficiaries or heirs during life. Paying for medical or educational needs directly could be the best way to take care of a family member. Doing so could limit the tax exposure for a loved one, which could mean that person would receive greater benefit from the gift. Individuals are also allowed to make financial gifts up to a certain amount each year without incurring any estate tax ramifications. Gifting will also help reduce the amount of the individual’s taxable estate. Federal law allows individuals to pass a substantial amount of their estates to their spouses without any tax liability. Minor children and grandchildren are not allowed to own property, so any assets they are to receive will require special treatment. Property distributed to adult children could incur tax liability for them, so it would be a good idea to explore how to limit that exposure. 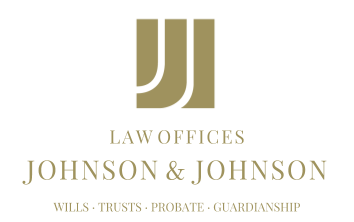 Estate planning provides numerous ways to accomplish a Nevada resident’s goals of providing for family, friends and charities after death. Every person’s circumstances are unique, and the estate plan needs to reflect that fact. If the tax exposure of a beneficiary or heir is not considered, an inheritance might not provide the benefits an individual intended.